WebRes installation takes several steps. Some of these steps must be performed before Execu/Tech can install the actual WebRes application. WebRes is only supported on Microsoft's IIS 6 or newer. The computer on which WebRes is installed must be on and connected to the internet. If the PMS software server is not the same as the WebRes server, both computers must be on and communicating on the same network. Ensure that Shift4 credit card processing is installed and operating properly if the customer will be processing credit cards through WebRes via Shift4. Make sure the WebRes Terminal (the default is 98) is configured in MENUS4CO. Install the latest PMS software updates. The WebRes installation folder location must be provided to Execu/Tech before the WebRes web application can be installed. WebRes can be installed in the default IIS folder or anywhere else on the server EXCEPT Program Files or Program Files or Program files (x86). The IIS 'Site' name must also be provided to Execu/Tech before the WebRes web application can be installed. Please ensure that the 'Site' uses the folder from Step 1. *Because of the CGI settings, WebRes must be installed as its own site and it can be the default site if no other web applications are running on it. It can also be a folder within another site. If you're running WebRes as a folder within a site, you must convert it to an application by following these instructions. Install a Windows IIS Web Server on the same network as the Execu/Tech HOTEL™ server. This can be same or a different server than the server running HOTEL™, and most customers use the HOTEL™ server as the WebRes server. This is your “WebRes Server”. Execu/Tech will need administrator level access to complete installation of WebRes. The URL or IP address that directs traffic to the customer's WebRes application is not configured in the WebRes application. Execu/Tech has no part to play in this setting, since it is determined by the internet provider and domain registrar. If the customer's static IP address changes or routers and firewalls are replaced, the following steps may have to be repeated to get WebRes working again. Ensure dedicated internet access to the web server with a Static IP. If the server can't be reached from the internet, WebRes won't work. Open any necessary ports so that the WebRes Server is accessible from the internet for web traffic. This should be tested and verified before Execu/Tech begins WebRes installation. Forward these ports in your router so that they are directed to the WebRes Server. If you choose to register a sub domain, it is your responsibility to maintain it and ensure that it's directed to the proper IP address. Execu/Tech will need remote access to install and configure WebRes. Our preferred methods are RDP and VNC. 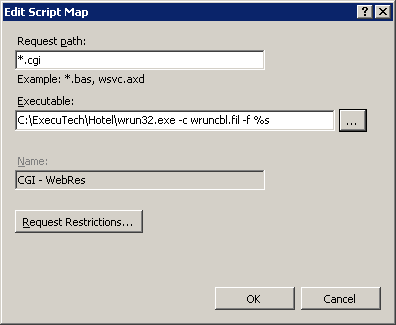 If the WebRes server is separate from the HOTEL™ server, it’s common to connect to the already configured HOTEL™ server connection and RDP to the WebRes server using that connection. The remote connection information must be provided to Execu/Tech before Execu/Tech can begin installation. Our remote connection application, Remote Connection (RemoteET), provides free, secure VNC based remote connection applications, both on demand and permanent. The registrar is whoever registered the domain (www.something.com). This could be the Web Designer, Network Professional, or even the customer. Create a sub domain pointing to the web server’s static IP address and provide the URL to Execu/Tech. Most of our customers use something like https://reservations.something.com. *When WebRes installation is complete, Execu/Tech will provide the URL to the WebRes web application based off of this URL. Download the latest WebRes install from the support site in the updates/components folder. Install the WebRes files into the WebRes folder. Configure IIS .cgi settings to work with WebRes. 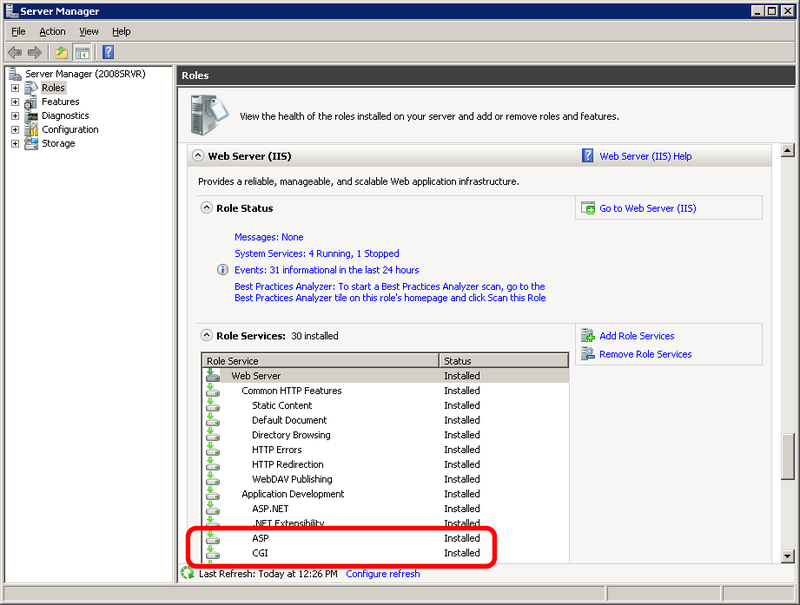 Configure wruncbl.fil and inc_variables.asp in the WebRes folder according to customer’s needs. Be sure to update the CODE-PREFIX and FILE-PREFIX in wruncbl.fil in the WebRes folder. It should be set to the path to the PMS software folder. Purchase an SSL Certificate and configure it on the WebRes Server if SSL is desired. SSL encryption is a function of IIS and not WebRes and must be handled and configured by the customer’s network professional. Once the SSL is properly configured on the customer’s WebRes Server, the WebRes asp page will be accessed through https:// instead of http:// and the small padlock will appear on the user’s internet browser signifying a secure web page. Once Execu/Tech has tested WebRes and the customer has verified that it is working, the web designer should create a link on the customer’s website using the link that Execu/Tech provides. It’s also possible to present the WebRes inside of an Inline Frame. Treating it as an asp include, however, doesn’t work because of variables passed in each step of the reservation. Unless otherwise noted, these steps are the responsibility of the customer's IT professional. In the IIS Manager, under Web Service Extensions, you MUST ALLOW “All Unknown CGI Extensions” and “Active Server Pages”. In the IIS Manager, right click the WebRes folder and open the properties window. In the “Directory” tab, next to the “Application name:” field, click “Create”. This only needs to be done if WebRes is in its own folder inside a site. Performed by Execu/Tech unless the IT professional wants to do it. Click “Configuration” and under the “Mappings” tab, add the following application extension, using the actual software path. *Verify the path because it may be different than the example. In the IIS Manager, right click the WebRes folder and choose “Convert to Application”. This only needs to be done if WebRes is in its own folder inside a site, such as the "Default Web Site". Open the Handler Mappings for this folder and select “Add Script Map”. Configure it using the actual software path. When you click OK, you’ll be asked if you want to create an allowed entry in ISAPI and CGI Restrictions. Click YES! You must give the Application Pool Identity full permissions to the “HOTEL” folder. Enter “IIS AppPool\DefaultAppPool”, or your custom app pool name, in the “Enter the object names to select:” text box. 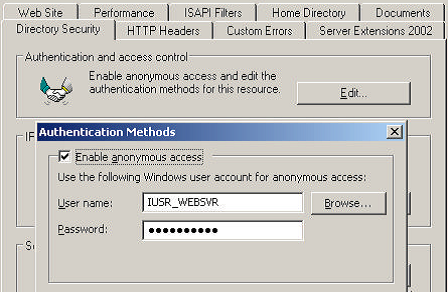 Windows 8 and Server 2012 and newer should also give the IIS_IUSRS group these permissions.